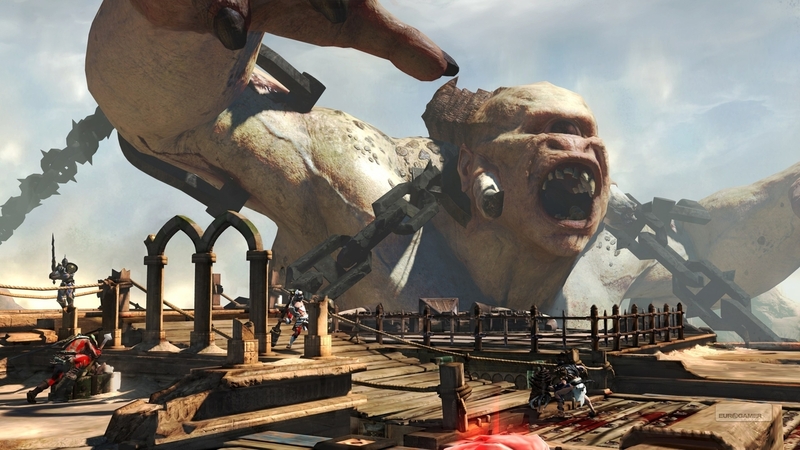 Sony Santa Monica talks up its next Kratos-starring God of War outing, God of War: Ascension. Sony has described newly-unveiled PS3-exclusive God of War: Ascension as "the most ambitious God of War adventure in the series so far." "The most ambitious God of War adventure in the series so far, God of War: Ascension takes us right back to where it all began," reads the game's description. Normally we'd say that would be the intro to God of War 1, but according to Sony, God of War: Ascension will enable gamers to "discover the origins of Kratos as he takes his first steps on a now legendary quest for freedom and vengeance." How will they incorporate the new story? 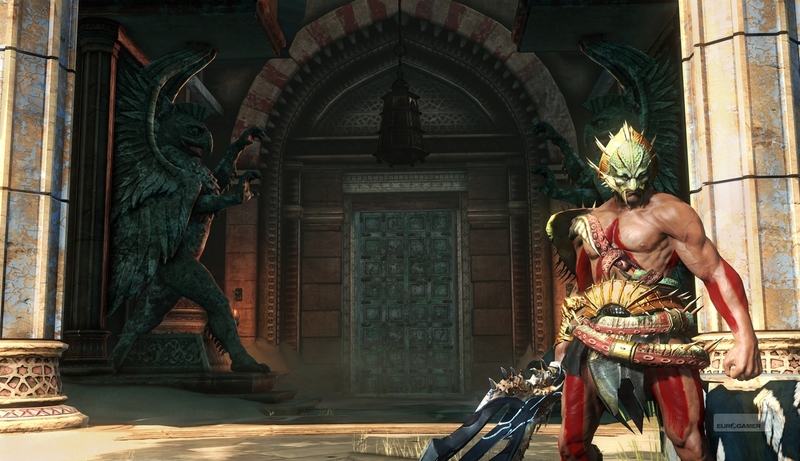 Will it be Kratos' far-flung past or will God of War: Ascension be an interquel? Have your say below! 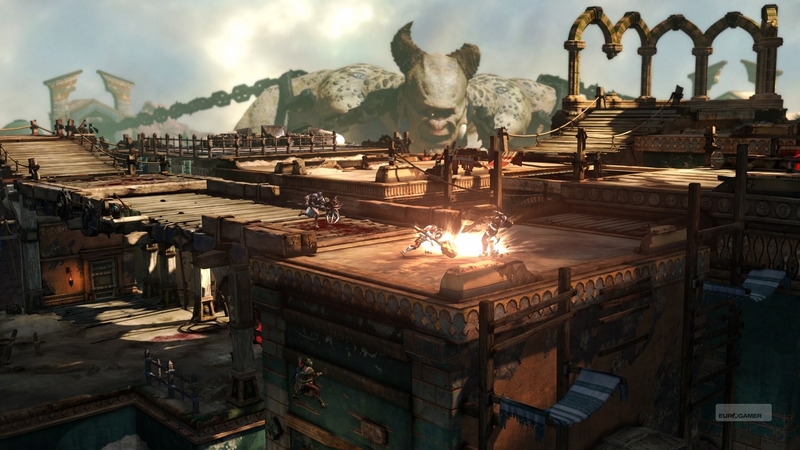 God of War: Ascension has online and offline multiplayer battles for up to eight players. There are a variety of multiplayer modes, customisable avatar warriors, armour and weapon types to unlock. 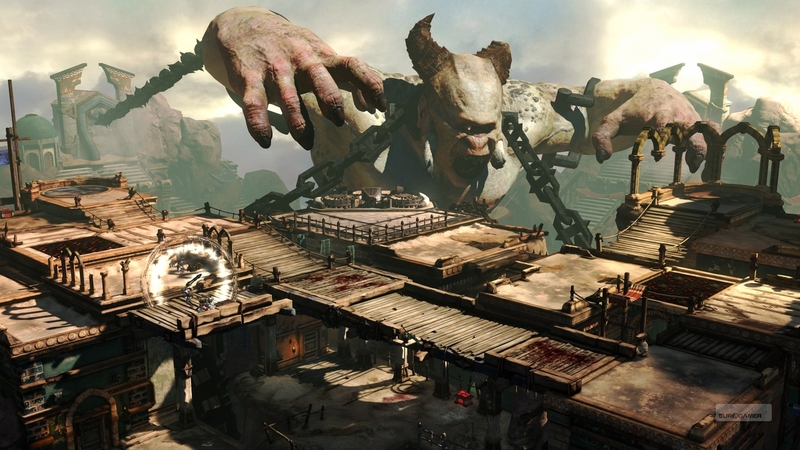 Eurogamer's Johnny Minkley saw it in action for a God of War: Ascension preview, published today. 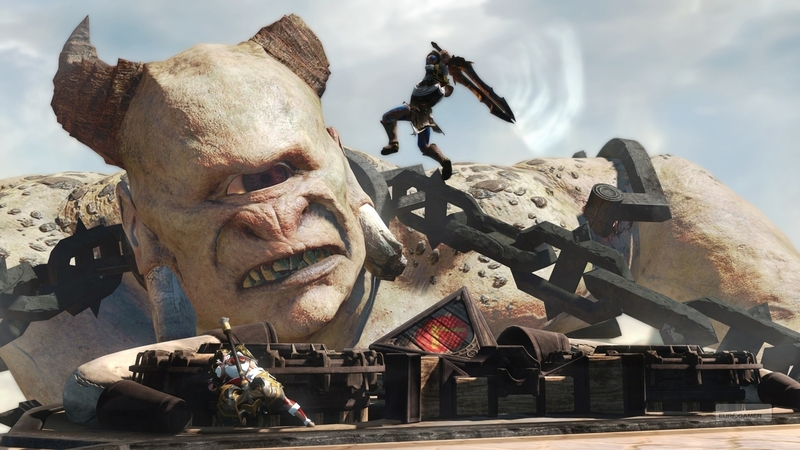 Multiplayer "combines the brutal gameplay and large-scale battles that God of War is known for to create a competitive experience like never before", Sony said. According to game director Todd Pappy it's a "fresh twist" on competitive gaming. But the game has single-player, too, this time with a "revamped" combat and weapon system, "promptless" mini-games and new puzzles. Sony mentioned "fluid, life-like characters, dynamic lighting effects, and world-changing scenarios". Pappy told Eurogamer Ascension's campaign is "just a little bit shorter" than in previous God of War games. "We've mapped out everything and given time estimates. It'll be pretty damn close." And lead combat designer Jason McDonald insisted that single-player has not suffered as a result of the addition of multiplayer. "We didn't want to sacrifice single-player for multiplayer, neither did we want to tack [the latter] on," he said. "We're definitely going full force with both." As for the story, Ascension sees players assume the role of Kratos as he tries to break the blood oath that binds him to Ares. Since this is a prequel, we get to see a younger Kratos, one driven mad after bring tricked into killing his wife and child. In the game Kratos "seeks to break his bond and gain the clarity to seek revenge on Ares for his part in the death of his family". Helping is his signature double-chained blades.